Is your business keeping up with today’s consumers? Do you want to monitor and evaluate your customer service better? For measuring customer service activities and business processes, reports and dashboards feature of Mi4biz is the key! For today’s customer, service is more important than ever. Therefore, the main focus of companies today has shifted away from selling services to delivering a great overall customer experience. No matter what industry you’re in, providing a better customer service is crucial if you want to increase customer satisfaction and grow your business. In a such customer-centric environment you need to measure customer service performance and make better business decisions. After all, to track every customer service activity you need to get help from the digital intelligence. The customer service software Mi4biz provides reports and dashboards to have a 360-degree view of the processes and customer service activities measuring the performances. Also provides warnings and alerts when KPIs are not achieved. On the other hand, managers will make better decisions and quickly adapt to new trends with it. How to use Reports and Dashboards? Artificial Intelligence based Mi4biz technology offers an easy-to-use customer service management solution. The user-friendly reports and dashboards help to monitor whole customer service activities across all channels, devices, and touchpoints. With the reports and dashboards of Mi4biz you can easily analyze customer issues, monitor customer service performance, track your product, and your service quality. What are the benefits of the Reports and Dashboards of Mi4biz? Monitoring customer service activities and business processes likely will lead to direct solutions associated with creating a better customer service. Mi4biz provides an intelligent routing in real-time and collects all data about performance, customer satisfaction, KPIs, and SLAs. The system delivers an end-to-end customer service solution to track every detail. 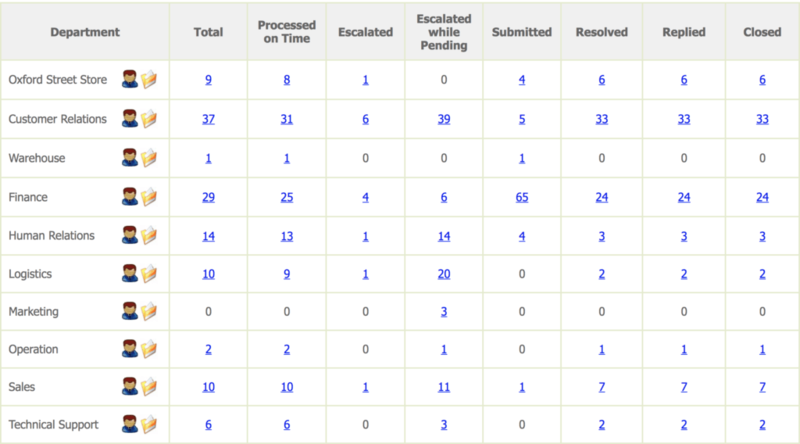 For instance, escalation reports can highlight inefficiencies and poorly designed workflows. Therefore, Mi4biz makes it possible to analyze the metrics that enable managers to monitor the contribution of the various departments and achieve better performance. In a such system you always know who is doing what, and who is late. Moreover, you can reveal the root causes and identify opportunities for corrective and preventative actions with the reports and dashboards. Also increasing accountability as your employees take ownership of their performance through improved visibility. Get insights from real time dashboards, reports and analytics. Monitor activity as it happens. Deliver a consistent level of quality service. Regularly track and measure your performance. Drive and optimize business results. Monitor and improve customer satisfaction. Transparency is critical in building trust and creating customer satisfaction. Reports and dashboards of Mi4biz give you the transparency to get better business results. Deliver an outstanding customer service by using the best software solution. To learn more about the Mi4biz and the features, contact us.